This event takes place each day from November 27th, 2018 to January 31st, 2019. A lifelong California politician, Jerry Brown has a political résumé longer than most. Entering politics as a young radical, he lost several bids for president as he made his way. Aside from presidential bids, career highlights include serving twice as California's governor, as well as turns as secretary of state, mayor of Oakland, and attorney general. 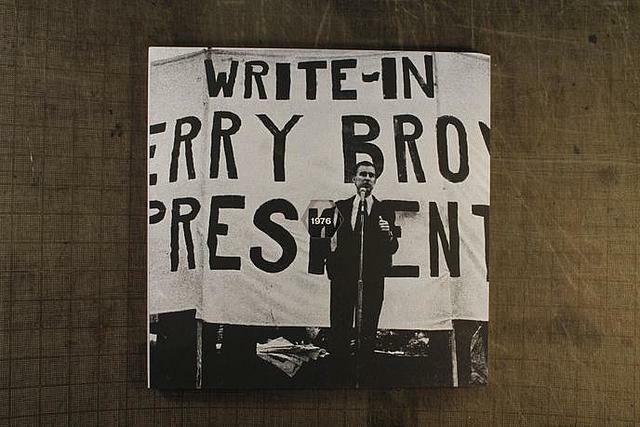 This exhibit features Gould Library’s edition of Doug Aitken’s inventive and sculptural artist’s book, Write-In Jerry Brown President, with supporting materials from the library's general collection. For more information about this unusual artist's book, visit the MoMA website.